Well the Lego movie is out and doing well by all accounts, I've yet to see it but it looks like a lot of fun. Chris Pratt, Will Ferrell, Morgan Freeman, Will Arnett, Charlie Day, Nick Offerman and Elizabeth Banks doing voice work. The animation looks good too, not too slick. It looks like it was animated by stop motion even though it was computer animated. 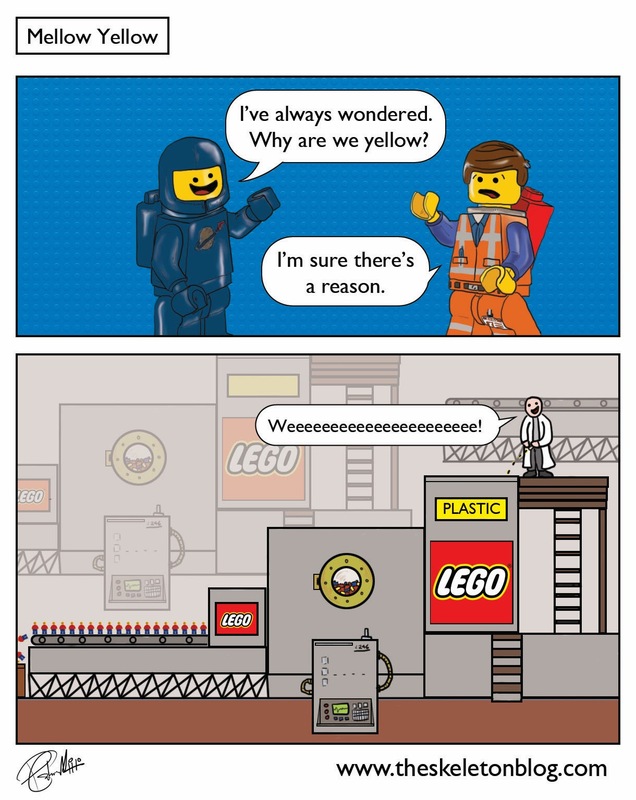 There's not a lot more to say about a movie I haven't seen so I just hope you enjoy my pee based comic about lego dudes, featuring Benny and Emmet from the movie. If it's yellow, let it mellow.